In Argentina, for example, it is incredibly challenging to change the name on a billing account, but late payments are not tied to a credit score. Therefore, few people bother to go through the process. Since up to 80% of people in Latin America don’t have a bank account or are underbanked, many have to resort to paying bills in person. The process varies significantly depending on the country and figuring out how to pay bills in each of Latin America’s 33 countries is far from straightforward. Here’s a look at some of the problems and opportunities. If you live in the US or Europe, you may pay your bills directly through your bank online, usually all around the same time each month. These bills likely include utilities such as water, gas, electricity, Internet, credit card, mortgage, and cable. Paying for the same services in Latin America, depending on the country and income level, can either be paid online or will require visiting several different offices or banks at different periods of the month. If you’re lucky, these offices will be open until 6PM, but most facilities are only available Monday-Friday from 9am-5pm, meaning you might have to use your lunch hour to get in line. Some payment centers will accept debit and credit cards, some only cash, and others may have restrictions on international cards. To explain the process more clearly, here is how to pay your bills in five different countries across Latin America. Argentina: Many people still line up every month to pay their utility bills at banking centers called Rapipagos or Pago Facil. You either receive a paper bill or print an online receipt with a barcode that allows you to pay at any of the Rapipagos centers across the country. It’s likely your utility bills will not be in your name if you are renting property, but most payment centers will not care. Brazil: People with a bank account and a smartphone can pay their bills online. However, many Brazilians line up at banks at payments centers each month with payslips to pay their bills in cash. Some services, such as health insurance, provide a small booklet of 12 slips with barcodes to use for payments throughout the year. Technically, these codes also work in ATMs; however, the system is often faulty and it is easier and more secure to visit a bank. 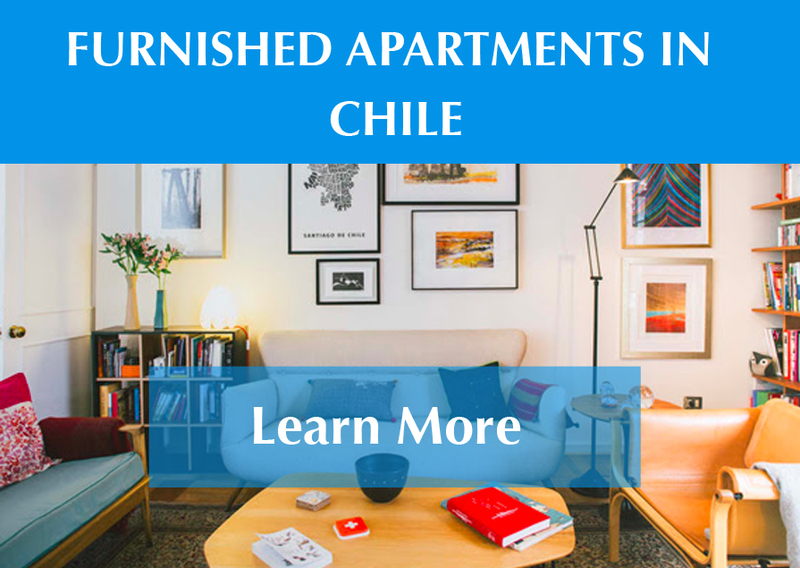 Chile: Bank transfers are a standard payment method in Chile for everything from rent to utilities. Many buildings will provide a monthly bill for “gastos comunes,” or building expenses, that will have all of the information for the building’s bank account so tenants can make transfers directly. Some apartments as well as utilities use a banking service called Servipag that allows customers to pay bills in cash at one of the many physical centers around the country. Another service, Comunidad Feliz, is developing new software to pay building expenses using bank transfers and credit cards. Many times, mortgage and other loan payments can’t be made automatically on autopay without going to the bank, which forces you to create a myriad of alerts so that you don’t pay outrageous late fees. Colombia: Paying bills is relatively flexible in Colombia and there are online options if you have a local bank account. Otherwise, ATMs and many local grocery stores are also available for paying your bills. With that said, even just a few years ago customers had to visit a bank to pay cash for their phone, electricity, gas, water, and cable bills, and then get in line at each of the offices for the other services they used (such as health insurance). Colombian credit cards and short term loans sometime require going in person to the bank and prepayment is not allowed or severely punished with fees. Mexico: Despite having one of the most developed fintech ecosystems in the region, Mexico does not have standardized bill paying. However, consumers can pay their bills in cash at convenience stores like OXXO, and some companies are integrating online payment methods such as direct transfers (like in Chile) or partnering with fintech startups like Xoom. Based on this expat’s explanation, how one pays the bills in Mexico might depend on the month. While paying bills is relatively simple if you have a bank account, only 47% of Latin Americans currently have an account at a formal banking institution, and only 15% have access to credit. For the most part, low banking penetration is directly related to low income levels; for example, 75% of unbanked Mexicans do not have accounts because their income levels prevent them from entering the financial system. For Latin Americans without a bank account, even if they have a mobile device, paying bills usually means endless lines and bureaucratic red tape every month. It’s normal to see long lines in subway stations or on street corners near payday when Latin Americans go to payment centers to make payments. With over 271 fintech startups working to improve financial inclusion in the region, it seems there should be a better solution to collecting bill payments for Latin America’s unbanked. After all, 63% of Latin Americans will access the Internet through smartphones by 2020. A report by AMI Perspectiva explains why fintech startups have yet to tackle the issue of bill payments in Latin America appropriately. Currently, most mobile payments solutions are trying to compete against cash and credit cards in a retail context, where these methods are not causing pain points. They are also focusing on customers in the wrong sectors: either the wealthy, who already have access to traditional credit cards, or low-income groups who face significant barriers to adopting this new technology, despite their intense need for it. There is an obvious gap in the market for mobile payments methods for the under-40 middle-class who might have debit accounts but little access to credit. A few startups are starting to serve these groups, making it easier for people to pay their bills without waiting in line each month. For example, the Mexican startup Saldo.MX allows family members to pay bills in Mexico from abroad. In Chile, Multicaja is a PayPal partner that connects Chilean checking accounts to PayPal to make it easier to pay bills online or purchase from abroad. Nequi is doing the same in Colombia. BillMo in Mexico helps pay bills through a smartphone, as does Yape in Peru. Many of these services solve the problem, but charge high fees. There is a lot of room for improvement in the way Latin Americans currently pay their bills. No startup has come up with the right solution yet to help transition most people from cash payments to simple, online bill pay. However, as neobanks, cryptocurrencies and blockchain technologies become more ubiquitous in Latin America, the process of paying bills could sidestep traditional banking institutions entirely. Paying bills is still a slow, frustrating, and bureaucratic process in much of Latin America and the market is open for the next fintech startup that can seize the opportunity.